Jack Williams Tire Company, Inc., recently participated in a tire recycling event, part of WNEP’s Power To Save, Home & Backyard Expo where they collected 6,800 used and unwanted tires to be used as an alternative means of fuel for Lehigh Valley building materials manufacturer. 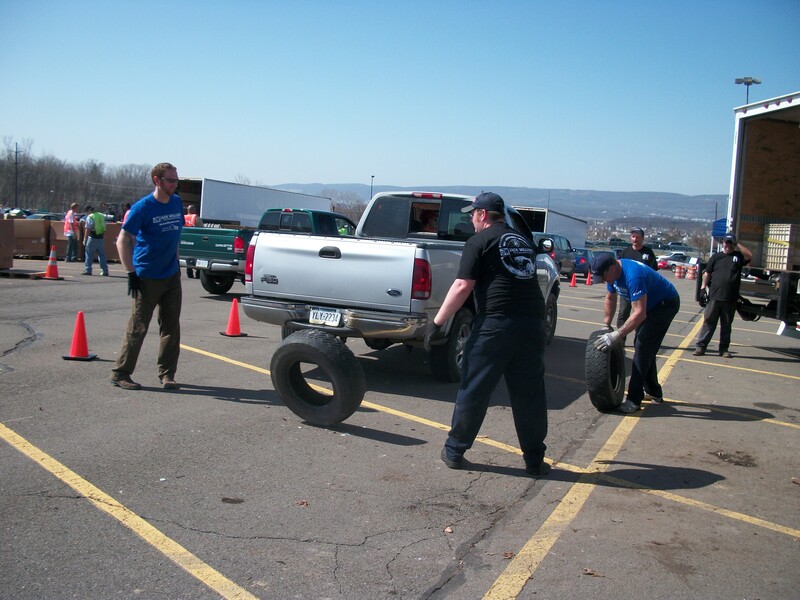 Jack Williams Tire - http://www.JackWilliams.com, a family owned and operated business, is proud to have collected and disposed of 6,800 used and unwanted tires across Luzerne and surrounding counties, in part of the Tire Recycling event of WNEP’s Home & Backyard Expo. This community focused event, held at the Wyoming Valley Mall from March 16th through March 18th, include tire and electronic recycling outdoors, in addition to paper shredding and various home and garden vendors indoors. When approached by Northeastern Pennsylvania’s highest rated news station, WNEP-TV, about their interest in being part of a Tire Recycling program for their 2012 Home & Backyard Expo, in an instant, their answer was, “Yes”. Given the abundance of unwanted tires ending up down embankments, alongside roadways, even taking up much-needed space in people’s garages and sheds, they know the need to disposing these unwanted tires and the need for doing so responsibly. Much like paper decomposes over time, tires do not. Rather than used and unwanted tires plying up in landfills, what better way to use these tires than as fuel. Going green and pursuing eco-friendly ways of operating isn’t something new on the horizon for Jack Williams Tire. From the thousands of tires each of our 26 Jack Williams Tire - http://www.JackWilliams.com retail locations handles any given year, it’s important to be able to dispose of them in a responsible and useful way and let that way be as an alternative fuel source to manufacturer concrete. We’ve partnered with Systech Environmental Corporation, a wholly owned subsidiary of Lafarge, the world leader in building materials and their concrete manufacturer facility in Whitehall, PA – Lehigh Valley. In a matter of hours, used tires stack up across Jack Williams Tire locations. These used, unwanted tires are transported to this Lehigh Valley concrete facility to be used as an alternative means of fuel for kilns that produce concrete. Since 1993, Systech Environmental Corporation has been utilizing up to 138,000 metric tons of scrap tires per year as a fuel source to manufacturer concrete. Using tires as a fuel source, helps conserve the facilities use of coal and other fuel alternatives. “For how easily, used and unwanted tires can stack up in people’s garages, sheds, and litter the banks of creeks and highways, it’s important to dispose of these tires in a responsible way. By partnering with Systech Environmental Corporation, the tires we continue to collect across our 26 retail locations, in addition to the over 6,000 tires collected at the recent Tire Recycling Event, we can guarantee they won’t end up littering homes and, most importantly, the environment. We couldn't have asked for a better turn out during this community wide recycling event and we certainly couldn't have pulled off this success without the help of Trade Eastern and Nicholas Trucking! It's with their help; we were able to make this event possible!”, says Jason Williams. Jack Williams Tire - - http://www.JackWilliams.com has always taken pride in working among the communities their retail locations call home. When asked to participate in this tire recycling program, there wouldn’t have any other answer but “yes”. Throughout this three day Home & Backyard Tire Recycling event, the dedicated and hardworking staff across local Jack Williams Tire locations - http://www.jackwilliams.com/locations.php, joined forces to head up this first time tire recycling event and were anticipating quite the crowd. With the constant flow of vehicles dropping off their used and unwanted tires at the event, they also offered a courtesy tire safety inspection area, where tire specialists, assessed air pressure and tread depth across a number of vehicle tires. Proper air pressure in vehicle’s tires can help achieve the best gas mileage on your vehicle, which in turn is essential with today’s climbing gas prices. If you missed out on attending WNEP’s Power To Save, Home & Backyard Expo, and you still have some used and unwanted tires you’re looking to dispose and recycle, any one of the 26 Jack Williams Tire retail locations will gladly accept used tires at $2 a tire. Find your nearest Jack Williams Tire location a call to arrange drop off of these tires! 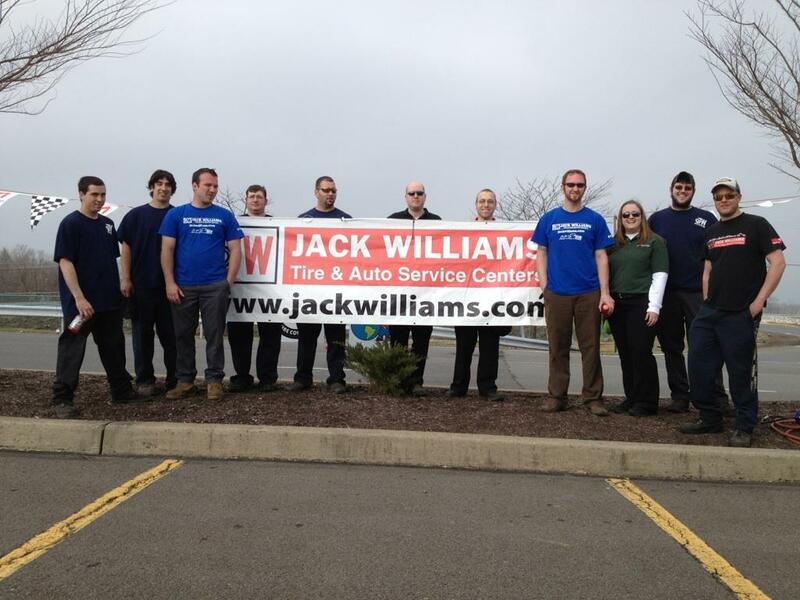 Jack Williams Tire Company, Inc, has been family owned and operated for over 83 years, providing northeastern and central Pennsylvania professional and trusted tire and auto service in addition to giving back to its communities! Find out what communities and event you can find the staff at Jack Williams Tire on Facebook - https://www.facebook.com/JackWilliamsTire, Twitter - https://www.twitter.com/JWTire and our website! - - http://www.JackWilliams.com! 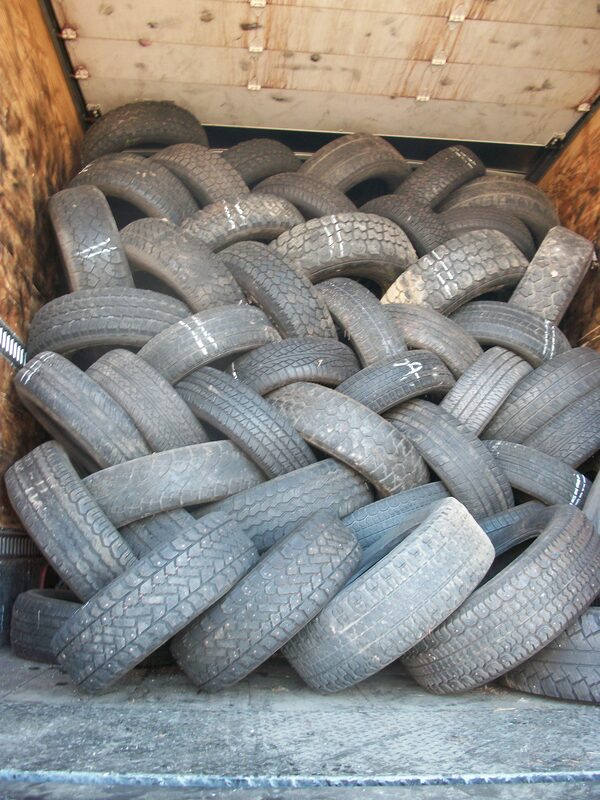 Tire after tire was collected and laced to fill up 7 trailers over the 3 day Tire Recycling weekend event! Providing customer and community service for 83 years! Jack Williams Tire were proud Tire Recycling sponsors for recent WNEP's Home & Backyard Expo, outside the Wyoming Valley Mall! 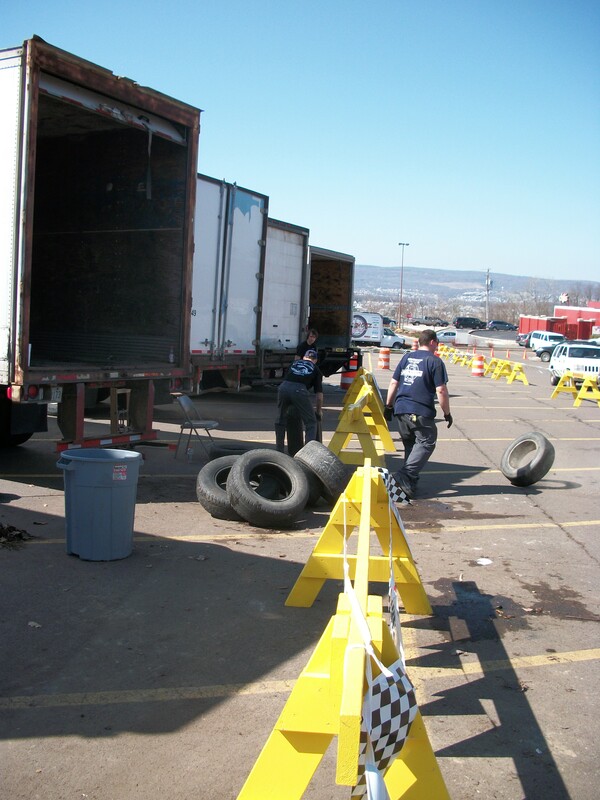 Jack Williams Tire collected over 6,000 used and unwanted tires during WNEP's Tire Recycling Event! Each used and unwanted tire that was collected will be recycled to be used as an alternative fuel source at Lehigh Valley concrete manufacturer, Systech Environmental Corporation.